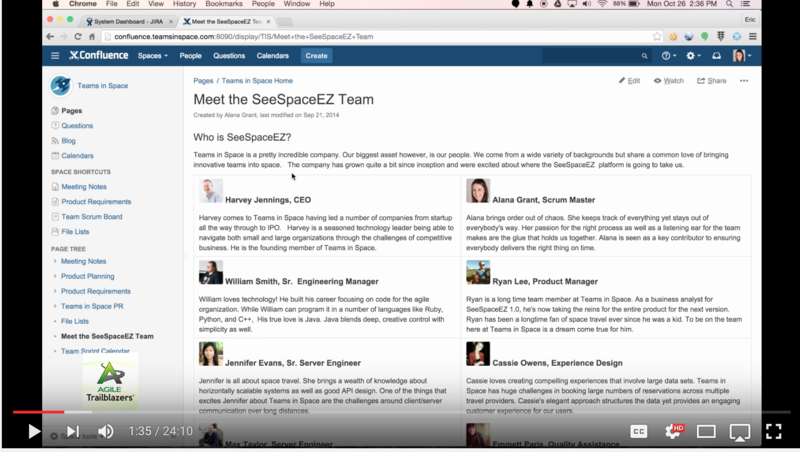 If you are new to Atlassian tools like JIRA and BitBucket or even if you are already using Atlassian tools but would like to go deeper, check out our Atlassain Ecosystem Overview video. As Atlassian Experts, we provide a full range of services to help you get the most from your Atlassian implementation. We can evaluate your unique needs, recommend the right tools to help you be successful, install and configure the latest Atlassian products, and work with your team to provide training and coaching. Our expertise in supporting Enterprise Agile Adoption, including Agile Technical Practices and DevOps implementations, provide us a unique perspective on the right tools to help accelerate your Agile adoption and enable your software teams to build high quality software.